Bring a game to share, or just come and join in on the fun. Anyone 12 or older. (if under 12, an adult must attend. 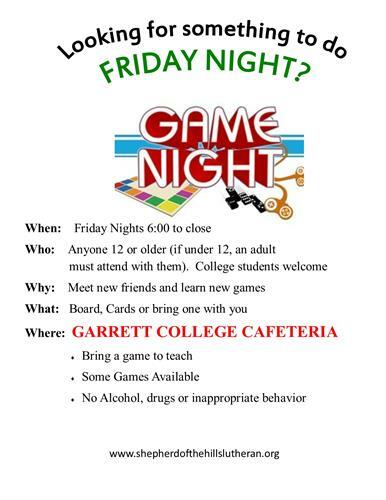 College students welcome. Bring a game to share. Some games available.